The official name of this Dominican Republic island is Isla Catalina. The island is only 9.6 square kilometers, but packs a big entertainment punch nonetheless. Don't get the wrong idea, though--this is a protected ecological area, and for good reason. The pristine sand dunes, mangrove swamps, and coral stone formations are a splendid rarity in the Caribbean. Did not go to the beach, we sat on our balcony enjoying the peace and quiet and not the over crowded beach. Beautiful beach and nice opportunity to lay around and relax but would have liked to explore the island, which was not allowed. PARTS WERE OK UNTIL THE VENDORS STARTED CHASING AND TRIED TO LURE YOU INTO THEIR STORE FRONTS, THIS IS SUCH A TURN OFF TO MUST TOURISTS. Went on a basic island tour shore excursion and enjoyed it. A GREAT time. It was nice to have a low key day with not having to worry about trying to see all the sites. The staff was great , the ocean was great and the BBQ was delicious. 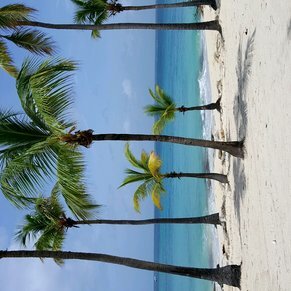 There are currently 0 discussions about Catalina Island (Isla Catalina), Dominican Republic.